The time scale of stomatal closure and xylem cavitation during plant dehydration, as well as the fate of embolised organs, is under debate, largely due to methodological limitations in the evaluation of embolism. While some argue that complete stomatal closure precedes the occurrence of embolism, others believe that the two are contemporaneous processes that are accompanied with daily xylem refilling. 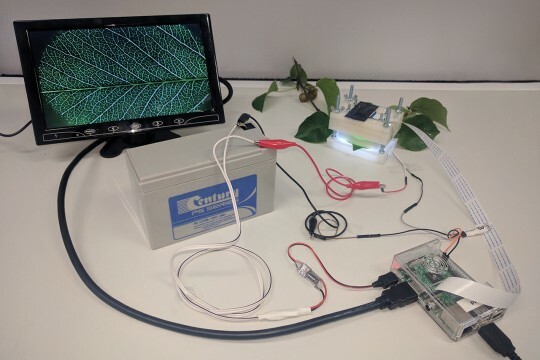 Here we utilize an optical light transmission method, to continuously monitor xylem cavitation in leaves of dehydrating grapevines (Vitis vinifera L.) in concert with stomatal conductance and stem and petiole hydraulic measurements. Magnetic resonance imaging (MRI) of an intact vine was used to continuously monitor xylem cavitation and flow rates in the stem of an intact vine during 10 days of dehydration. The results showed that complete stomatal closure preceded the appearance of embolism in the leaves and the stem by several days. 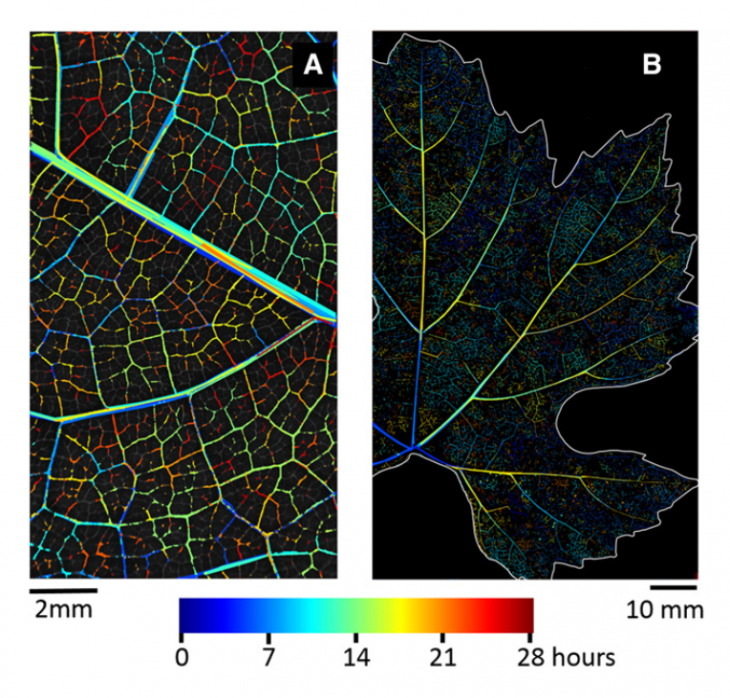 Basal leaves were more vulnerable to xylem embolism than apical leaves and, once embolised, were shed, thereby preventing further water loss and protecting the hydraulic integrity of younger leaves and the stem. As a result, embolism in the stem was minimal even when drought led to complete leaf shedding. These findings suggest that grapevines avoid xylem embolism rather than tolerate it. And a great video too! Hochberg U, Windt CW, Ponomarenko A, Zhang Y-J, Gersony J, Rockwell FE, Holbrook NM. 2017. Stomatal Closure, Basal Leaf Embolism, and Shedding Protect the Hydraulic Integrity of Grape Stems. Plant Physiology 174: 764–775. Captured by Jen Peters from Western Sydney University visiting the Brodribb Lab in Hobart.